Need vintage, cult and cool vector footage for your digital art, print or web graphics? 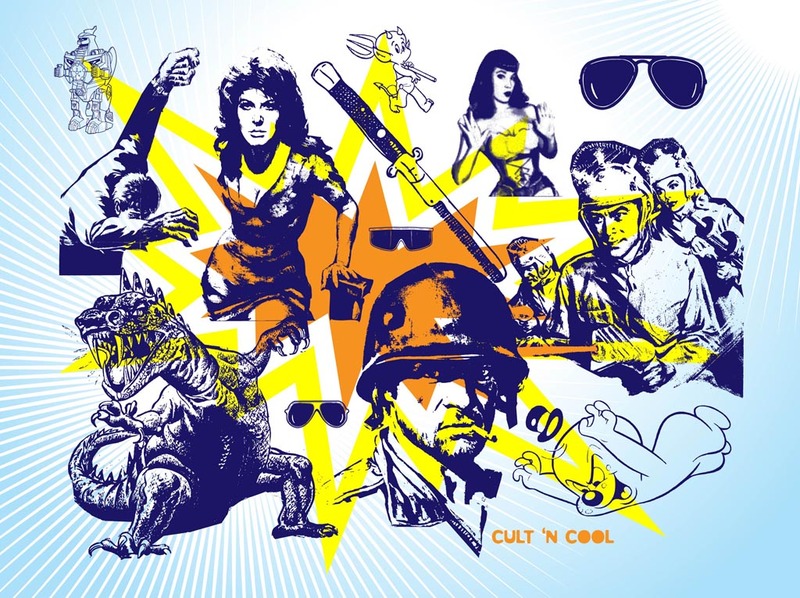 Download this Jonny Doomsday Illustrator pack with funky cartoon characters, old school Japanese robots, space fighters, astronauts, retro images, baby devils, knife, pop art starburst shape, GI Joe soldier illustration, shades, sunglasses, angry dinosaur, zombie and vintage pin-up girls graphics. Tags: Cartoons, Comic, Cool, Cult, Decals, Footage, Old School, Vintage.